What do you do when you’ve uploaded the perfect Hi-Res image for your Feature Content Slider, but WordPress is cropping the image strangely? 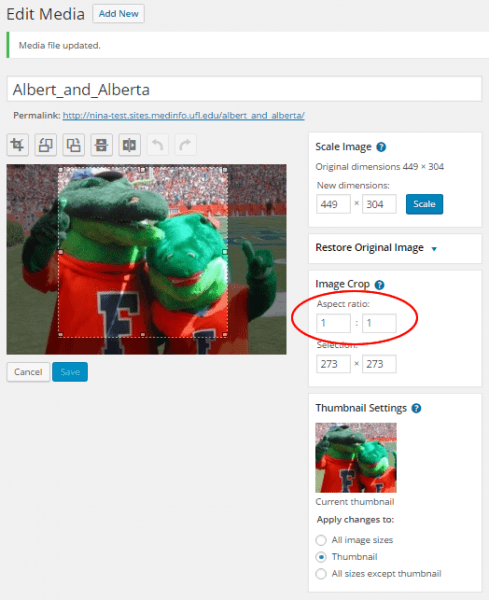 In this guide, you will learn how to quickly resize and crop images using WordPress. Step 1: Go to the Media Library by clicking on Media in the Dashboard navigation menu, and selecting Library. 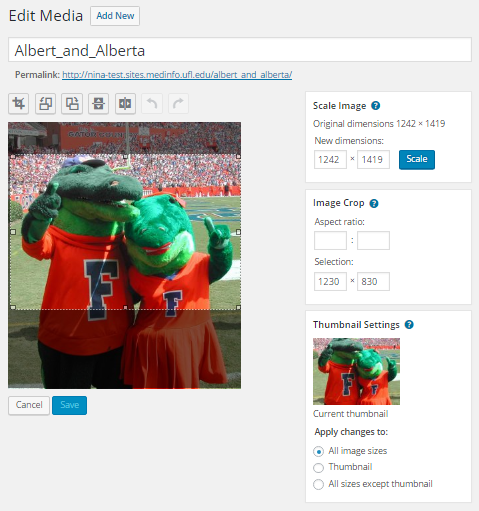 Step 2: Click on the thumbnail of the image you want to edit. Step 3: Click on the Edit button below the image. Step 4: Edit your image. 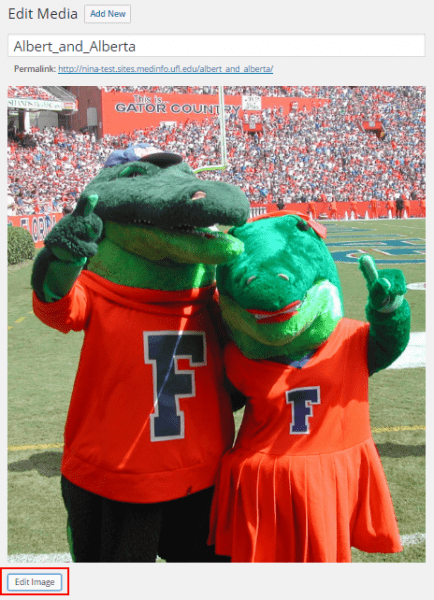 If you want to do basic image cropping, simply left-click on the image with your mouse and drag the mouse across the image as you hold down the mouse button. This will create a box that shows you what part of the image you are cropping. Once you release the left mouse button, you can adjust your crop area manually with your mouse or use some of the tools provided to you in the Image Crop box to the right of the image. 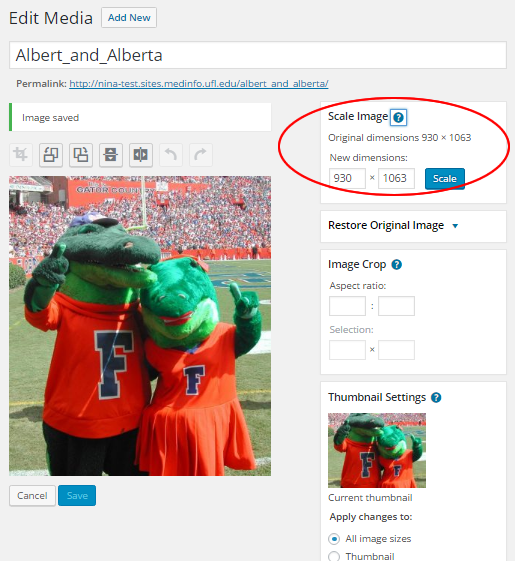 Once you are ready to crop the image, click on the Crop icon above the image. Images can only be scaled down, not up. Enter the pixel dimensions you need for either width or height in the Scale Image box. Entering one value (ex: height) will automatically scale the image proportionally for the other value (width), and vice versa. The aspect ratio is the relationship between the width and height. You can preserve the aspect ratio by holding down the shift key while resizing your selection. Use the input box to specify the aspect ratio, such as. 1:1 (square), 4:3, 16:9, etc. Once you have made your selection, you can adjust it by entering the size in pixels. 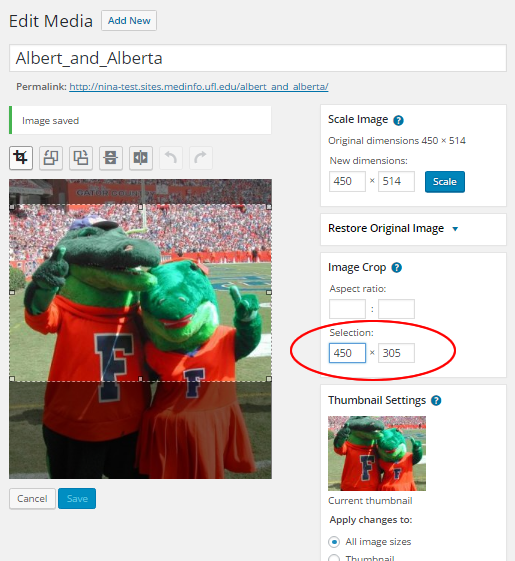 This is helpful if you are trying to crop the area to be a certain size for a featured content slider (ex: 450×305). The buttons above the image give you the option to rotate or flip your image. However, be mindful that any words in your original image will face the wrong direction when the image is flipped. Why Section Blocks are a Homepage "Must Have"